Quick: Think of some of the most painful crypto stories you know. Whether you are picturing this American guy who forgot his PIN, this London-based developer who lost track of a bitcoin-stuffed USB or the Welshman who accidentally threw out his hard drive containing 7,500 Bitcoin, they have one thing in common: All of them are brimming with regret. Cryptocurrencies give off the feeling that they are secure because they are decentralized, with many of them providing anonymous transactions. In reality, however, these factors don’t make them any less susceptible to human error and sloppiness. In addition to personal mistakes, outside threats exist as well. With interest in the cryptocurrency market continuing to attract new users, so too does it attract criminals. As a result, new scams are born and old ones resurface. Examples include a trojan known as CryptoShuffler that stole $150,000 in November after lurking on victims’ computers and replacing a Bitcoin wallet address with the hacker’s address. Notably, though, the scam that highlighted the real threat hackers present to the crypto world was the bankruptcy of Tokyo-based digital currency exchange Mt Gox in 2014. Then, over 24,000 customers lost access to hundreds of millions of dollars’ worth of cryptocurrency and cash after an alleged hack. Currently, the combined global value of the crypto market is worth $441 billion, according to CoinMarketCap. Considering it was worth just under $21 billion a year ago, this illustrates the traction the market has undergone. At its highest, it was worth $825 billion at the beginning of 2018. As a result, the possible payout to hackers has the potential to be huge if cryptocurrency assets aren’t secured properly. As with most things, though, a few simple yet crucial steps can be taken to help keep your digital currencies secure. Just as you would take steps to keep your valuables safe, rather than leaving them on display and making them vulnerable, you should also take steps to ensure the safety of your cryptocurrency assets as well. Wherever you store your crypto assets, always make sure that you only use strong passwords. For obvious reasons, memorable information such as birth dates or simple passwords such as ‘password’ should be avoided as these are easy to uncover. You can also install a password manager to make hacking more difficult. Also, if you are storing your cryptocurrency assets on an online exchange or in an online wallet, make sure that it supports 2FA (two-factor authentication) and don’t forget to enable it. This provides an extra layer of security. Without the 2FA in place a hacker may be able to gain access to your account should it become compromised. 2FA codes can either be sent via text message or with an app like Google Authenticator, which will automatically display a new code within a certain time window. For many investors, the use of an online exchange to store their assets can be quite convenient. Notably, they store private keys on behalf of their users, and in exchange, investors can trade between different cryptocurrencies with ease. Think of it as having a doorkeeper: Someone who can always let you in so you never need to bring your keys with you. There is a downside to this approach, however, because users aren’t in control of their own private keys. So if an exchange gets hacked, a user’s private keys are visible to motivated criminals. Many online wallets are non-custodial, meaning that users own their private keys — they are not shared with anyone else. So even if the company gets hacked or compromised in any way, it doesn’t present a problem for the wallet user. This makes them more secure than online exchanges. A rising interest in the crypto market also means that there is an increase in the number of scams. Phishing attacks are straightforward enough: They are often sent via an email or a fake ad, which includes a link to a website that looks like the website of your online wallet or another account. When a person clicks on it they will be taken to a malicious website. Here you enter your details unknowingly handing over your information to the hackers. From this, you’ll quickly see your money disappear. One way of spotting a fake website is to check the URL. There shouldn’t be any typos in the web address. You can also bookmark the websites you visit often or even install an ad blocker to block ads leading to fake websites. There is a lot of information regarding the differences between keeping crypto assets in an online wallet, a desktop app, or an online exchange. 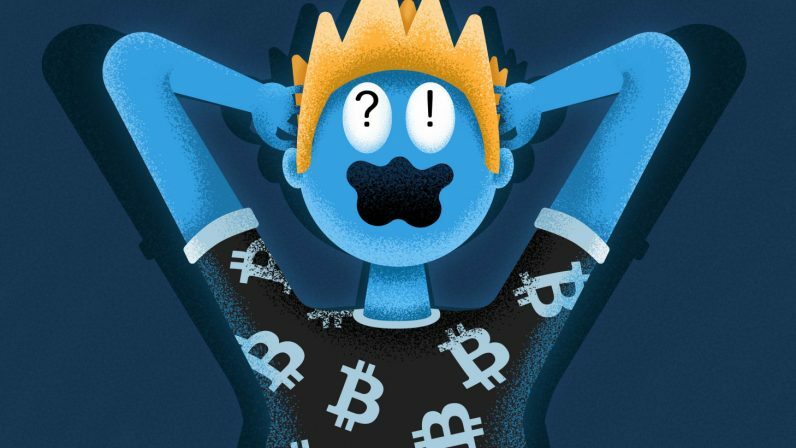 For many crypto enthusiasts, it’s important to understand what choices they have online. Finding the right place to keep your cryptocurrencies mostly depends on how you use it. You’ll probably still need to store assets on an exchange account if you’re into margin trading or if you want to convert your funds. But take note that you shouldn’t use exchanges for the storage of large amounts of cryptocurrency. If you are more tech savvy and don’t mind processing all of your transactions from a laptop or desktop PC, a desktop or hardware wallet would be a secure and convenient option. An online wallet is comparable to the wallet you have in your pocket: It stores your currency and is easily accessible. Plus, you can always check your balance and make a transaction. Many online wallets are beginner friendly, so ideal if you are just entering the crypto world. If you are a trader or simply prefer to have fast access to your Bitcoin without compromising security, the BTC.com digital wallet is a good fit. It never stores your private keys, so you are the only one with access to your coins. Sleep better by knowing that your crypto is safe! Download the free wallet for iOS, Android or visit wallet.btc.com to get started.